Its eight o’clock in the morning and Ayanda Vilakazi is already rushing to an important board meeting. As an executive manager tasked with ensuring that the Coega Development Cooperation (CDC) maintains an image good enough to attract investors to the Eastern Cape-based state entity, his job is not an easy one. The global economic challenges tied with investor uncertainty have spelled disaster for development institutions like the CDC. Part of the current administration priorities has been infrastructure. President Jacob Zuma announced in 2012 that South Africa will spend R4-trillion on infrastructure over the next 15 years, as part of a broad plan to boost economic development and growth. The government will have spent R860-billion on new infrastructure projects in South Africa between 2009 and March this year, President Jacob Zuma said in his 2013 State of the Nation Address. Some of the Strategic Integrated Projects are already underway. They include the construction of two new universities in Mpumalanga and Northern Cape. Work had commenced for the construction of the Umzimvubu Dam, also in the Eastern Cape, a project authorities say is critical for rural livelihoods in the province. The Mthatha Airport runway and terminal, and the construction of the Nkosi Dalibhunga Mandela Legacy Road and Bridge had both been completed. Eskom had put in place 675 kilometres of electricity transmission lines in the last year, to connect fast-growing economic centres and also to bring power to rural areas. Just a stone’s throw away from the CDC Industrial Development Zone (IDZ), the expansion on the port of Ngqura to developing a major new transhipment hub on the continent is at an advanced stage. The government believes the decision to pour money into South Africa’s industrial development zones will breathe new life into these economies, which are mostly struggling to create employment. And the Coega IDZ is no exception. On a daily basis Vilakazi and a team of managers at Coega work hard to convince those with resources to invest in their various ventures. But despite the economic down turn, the Coega IDZ, situated within the bustling Nelson Mandela Metropolitan Municipality near Port Elizabeth, has proved to be a success story. And Vilakazi, an astute brand expert, says his mission is to make sure that the company maintains a corporate image that would one day turn the IDZ into a major industrial city. Brand management and marketing are his strongest attributes. Even before he joined the CDC, Vilakazi helped build brands and changed the way people viewed the organisations he worked for in Johannesburg and Durban. With his15 years’ experience in various industries, including petro-chemical, transport and logistics and financial services, it’s not surprising to see his presence being felt at the CDC. Vilakazi attributes much of the CDC’s success to the company’s strategies to keep investors happy and also to the vision of the CDC’s longest serving CEO Pepi Silinga who has been at the company’s helm since its inception more than 14 years ago. “It’s a continuous struggle to ensure that everything goes according to plan and that we grow this IDZ into something major one day,” he says. He says the four major construction projects underway at the IDZ are a major Chinese car and truck manufacturer First Automobile Works (FAW) plan, the CDC wind tower manufacturing plant, Agni Steel’s R400 million smelter facilities and Rehau’s extension in the Nelson Mandela Bay Logistics Park. The construction activity at the FAW plant has created 304 jobs and these are expected to have increased to about 2000 by the end of the year. Vilakazi says despite a slowing economy, investor confidence in Coega has shown significant growth with a total of six new investors coming to the IDZ in the latter half of 2012. The total overall investment value has been over R1.2 billion set to be injected into the province of the Eastern Cape in one year alone. In total, over 25 000 jobs were created. “We are seeing a lot of growth in investor confidence and our ventures are proving a success and in 10 years’ time I see a bustling industrial city located within the IDZ,” says Vilakazi. When completed, the CDC tower manufacture factory is expected to employ 168 workers and produce between 110 and 120 wind towers annually. In addition, a partnership between Famous Brands and Coega Dairy to supply cheese products to major markets has led to a joint investment of up to R45 million pouring into the IDZ. But one of the major projects which is set to hit the IDZ is no doubt the PetroSA planned Project Mthombo oil refinery. PetroSA has partnered with China’s state-owned Sinopec petroleum and petrochemicals conglomerate to create the $10bn Mthombo project at the Coega IDZ. It’s expected to pump about 360 000 barrels a day and set to create 27 500 direct and indirect jobs at the height of its construction and 18000 direct and indirect jobs when it starts operating. “It’s going to be big; it will be one of the major projects in the IDC and will further confirm our space as an investment hub of the Eastern Cape,” says CDC’s Senior project manager for Infrastructure Development Bruno Ponzo. He says in all the projects coming to Coega, investors will be required to hire a specified number of interns to meet the company’s skills transfer strategy. But the value of any training programme lies in the ability of the candidates to find gainful employment upon completion. Coega has excelled in that area. Ponzo says over a period of nine years, Coega internship programmes have led to employment rates in excess of 80% for all their trainees, and an astounding success rate in terms of the sustainability of the organisation’s SME programmes. To help grow the small business sector, the CDC has set guidelines for investors and investments within the IDZ, which can only be approved if a company meets these guidelines. 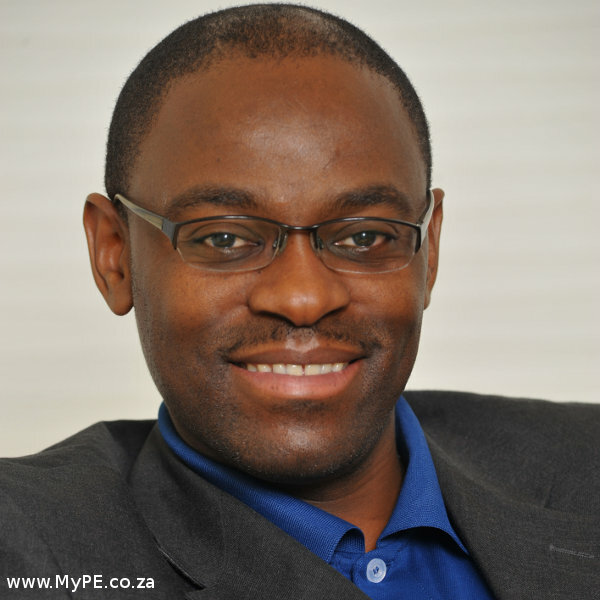 “We now insist on 35 per cent SMME component which is written into the contract. In terms of the mega projects that are on the pipeline, we already have an idea what skills are going to be needed and where the shortages will be. Already we are getting our young people up skilled in areas such as welding. “We have many success stories with our SMMEs and those that have gone through us have grown tremendously,” says Ponzo. Currently he has five interns that he looks after and they will be with him for 18 months.